So far in this series, we’ve gone through a lot of different concepts and learned a thing or two about Docker. We’ve learned how powerful it can be and how to build and run images in several different ways. We dockerized our ASP.NET Core application and added MySQL image to it using Docker Compose. We had to clear some air around concepts like repositories and registries and learned how to set up and push to our own registry. All the things we have learned up till now led to this exact moment. Now we need to tie everything up in a neat little bundle of joy and connect our containerized application to the continuous integration server. 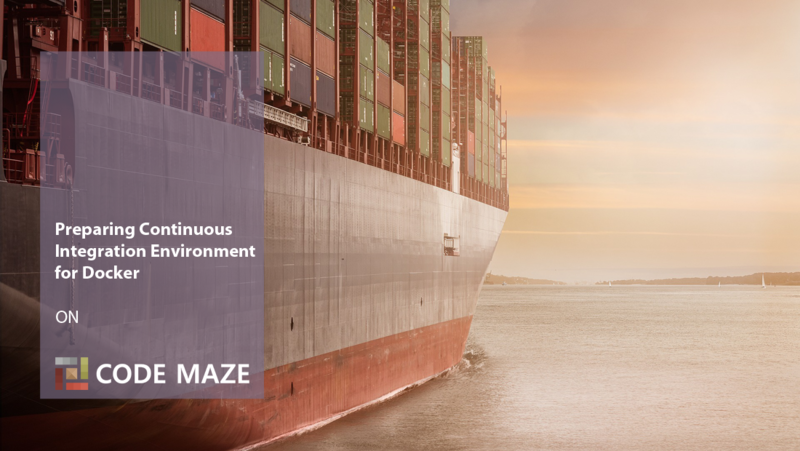 Docker revolutionized the way we think about developing applications, but at the same time, it improved entire continuous delivery lifecycle. We can deploy applications easier than ever and that’s all because of the power of Docker. In this part, we’re going to learn why we need CI in our lives, what makes a good CI tool, install TeamCity using Docker and prepare our continuous integration environment. In the end, we are going to run the whole process to see what we have accomplished. The starting point for this part is the docker-series-local-registry-end branch of the docker-series repo on our GitHub. 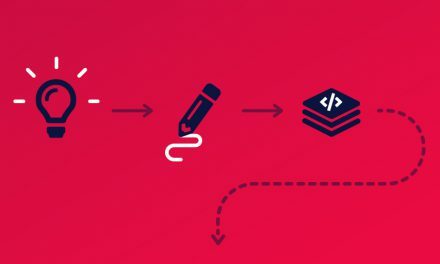 If you are still not sure why we need to do continuous integration, I suggest you read through our article about continuous integration and its importance. 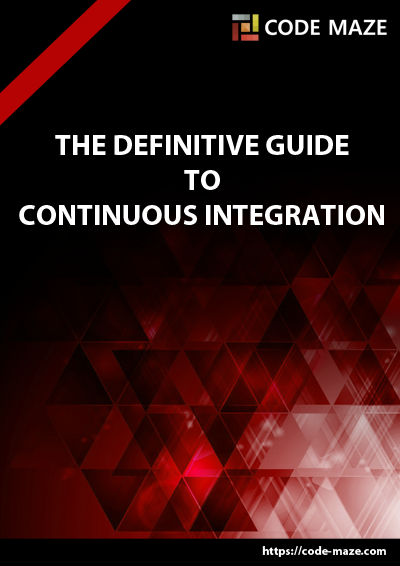 Simply put, continuous integration is a process that helps us find problems in our applications sooner than later. When we develop an application locally on your machine, the environment is configured to your needs and “polluted” with a lot of different libraries, SDKs, and whatnot, and that’s not the ideal environment to test if we want a production-ready application. We’ve all heard the expression “But it works on my machine!”. That’s what continuous integration is all about. 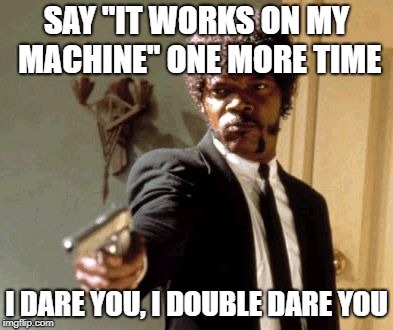 It needs to work on every machine! Now that we clarified that, let’s move on. There are a lot of excellent CI tools out there. Some are here for a long time (in terms of IT), and some are relatively fresh. It’s a bit redundant to say that a modern CI tool must be fast, user-friendly and flexible since those are the features we already expect out of the box. 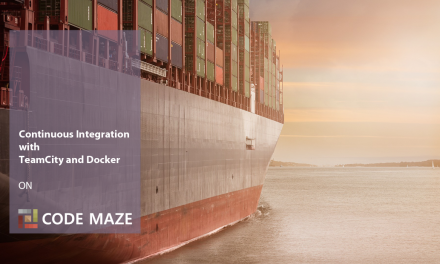 To stay on top of the game, every tool needs to follow the trends and integrate with the newest technologies, Docker being one of them. You can’t possibly expect any DevOps today without Docker, so it has become a key factor for a CI tool to jump on that bandwagon. We’ve described our favorite CI tools, and all of them support Docker integration to a degree. Some of them are even made ground up around Docker. For this article and series, our tool of choice will be TeamCity. Why TeamCity you may ask? As you know there are two types of CI tools. Those hosted and maintained by another company, and those that you can host yourself. TeamCity is a latter type, and that will enable us to try out all of the concepts we’ve talked about so far. That, and the fact TeamCity is a mature and excellent tool that can be used both by small teams and enterprises alike. So if you aren’t familiar with TeamCity, I recommend you download it and try it out on your local machine first. We have an introductory article about TeamCity that can help you understand how the tool works. Of course, you can use your own tool of choice to follow along, but it might be a bit harder since some concepts may differ between tools. Hopefully, you did install and try out TeamCity on your machine before this chapter. If you haven’t and it’s your first time configuring TeamCity, you might find this chapter a bit confusing, but we’ll do our best to explain it as simple as possible. Instead of downloading TeamCity directly from the website, we are going to use the Docker images provided by JetBrains on their official DockerHub account. So we are going to run TeamCity Server and Agent as Docker containers. And then, we’ll use them to build and test our application by utilizing TeamCity’s Docker features. Sounds a bit complicated, but stay with us. It’s not that bad. You’ll get what’s happening soon enough. First things first. Let’s pull the images we need. We’ll need a TeamCity Server, which can be found on the jetbrains/teamcity-server repo. So we are going to pull it by typing the docker pull jetbrains/teamcity-server command. We’ll also need the TeamCity Agent, which we can acquire by pulling the official TeamCity Agent image form the jetbrains/teamcity-agent repo. So, we need to type docker pull jetbrains/teamcity-agent to pull the image to the local machine. If you’ve visited the pages of the TeamCity Server and Agent, you’ve probably seen the instructions on how to run them. Not that complicated, but we know the better way since we’ve learned a tool we can use when we need to run multiple containers that are connected. Yes, the tool we’ve talked about in part 4 of the series, Docker Compose. So let’s see how we can translate this into the compose file. First, let’s create a new folder inside our existing Infrastructure folder and name it TeamCity. After that create a docker-compose.yml file inside it. As you can see, we are telling Docker Compose to pull the jetbrains/teamcity-server:latest image, create two volumes: one for data, and another for logs, and to expose the 8111 port so we can access the server at our http://localhost:8111 later. So, by doing this we added the TeamCity agent to our compose file. We told Docker Compose to pull the jetbrains/teamcity-agent:latest image, set the environment variable SERVER_URL to the URL of our TeamCity server, and then, finally, provided the volumes for agent configuration and the location of the docker.sock so that the agent can build and run Docker images. That’s it, we successfully configured our Docker Compose. All that is left is to run it and see if it actually works. Open your PowerShell and navigate to the /Infrastructure/TeamCity folder if you already haven’t done that. Let’s try our luck and run spin up our containers by running the docker-compose up -d command. This should run the Server and the Agent in the background. After that, run the docker-compose up -d again, and you should not have the same problem anymore. If everything started correctly you should be able to access the TeamCity server on http://localhost:8111. TeamCity has a pretty straightforward setup, but if you are not sure what to do, you can check out our article on setting up TeamCity to learn how to do it step-by-step. 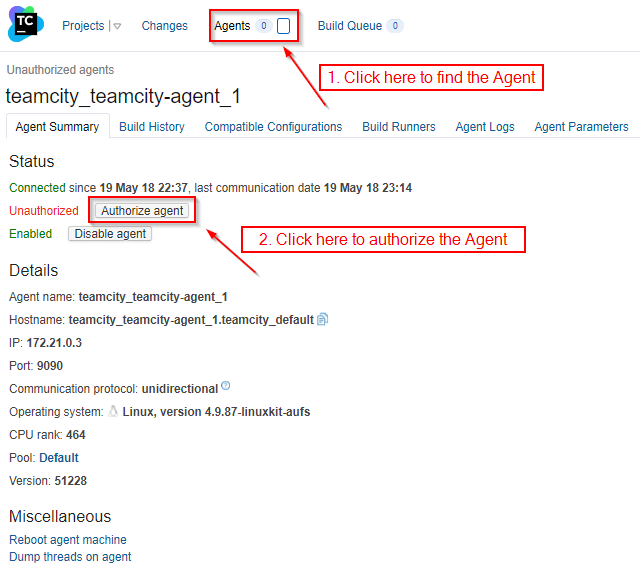 Once you click the Authorize agent button, your TeamCity Server should be ready to use. To wrap this article up, we are going to setup a TeamCity project with a build configuration to pull and build our image from local registry. Hopefully, you still have your local registry running, if not, refer to the previous part of the series to refresh your memory on how to create it. You can use our repository or your own. We’ll start out with the command line build step, and see what other options are available to us later. To test things out we’ve put the docker version command. We’ll change it later to something more appropriate, but for now, let’s run our build and see if it actually works. Just make sure to set the branch to the right one before running the build. You can use the docker-series-docker-compose-end branch from our repo. And we’re all set to run the build. Just press the little run button at the top, and see how it goes. docker build -t $image . First, we are going to set the image variable to the one we pushed to the local registry in the last post. But, not only that, we’ll add one of the predefined TeamCity variables to it, to tag each built image differently by appending :build-%build.number%. You’ll see in a minute how that works. After that, we are going to build and tag the image with the docker build -t $image . command. And finally, we are going to push the newly built and tagged image back to the local registry. So, save the configuration and press the button again. This time it should take longer to build the image, and if you look at the build log, you should see all the build steps we defined in our Dockerfile, including the tests and publishing to runtime image. 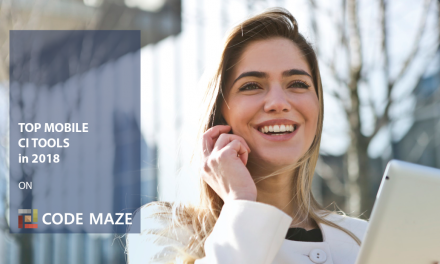 Once you kick off a few of those builds and try changing the project, navigate once again to the registry at http://my-registry:50000/v2/codemazeblog/accountownerapp/tags/list and see how it changed. And if you’ve followed these instructions, your repo will trigger the build on every check-in, since VCS trigger is automatically configured by TeamCity server. There you go, a fully functioning TeamCity powered continuous integration process, and everything thanks to Docker containers. This has been a brief introduction to the Continuous Integration with Docker and TeamCity. We did everything locally, but since everything is done using Docker, this setup is easily portable to any other machine. You could for example provision an AWS EC or GCE instance and host the entire setup there. Mind you, that in the production environments, it’s not vise to host both the TeamCity Server and TeamCity Agent on the same machine. There are still things we need to cover, so in the next part, we are going to add some integration tests and learn how to play around with Docker Compose to trigger the build every time instead of using Docker cache. We are also going to learn how to make dependent configurations and make our own environment variable that we can use with TeamCity. So stay tuned, a lot of good stuff coming your way! Full source code with the modifications we made throughout this article can be found on the docker-series-ci-prepared-end branch of our docker-series repo. If you have enjoyed reading this article and if you would like to receive the notifications about the freshly published CI/CD content we encourage you to subscribe to our blog. Continuous Integration Tools for Mobile vs Web. What’s the Difference? Thanks for the article! Just in case, you may want to show usage of “Docker Build” runner which is available out of the box in TeamCity. Also, another cool thing to show is a Docker Wrapper extension which can execute your build step in the given docker image. Thanks for reading and suggestions! This part is only about preparation of the environment and one small example. 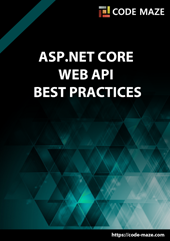 Next article in the series will go into detail on how to build and the project in different ways, use environment variables and run integration tests, so stay tuned and check it out on Monday! If you have any questions regarding TeamCity/Docker support, don’t hesitate to ask – I’m one of the developers there ([email protected]). You’ve done a great job with Docker integration, keep it up and make it even better! in your DevOps and CI/CD endeavours!